Have You Met This CHARACTER Before? Have you noticed how really great picture book characters practically leap off the page, pull up a chair and sit down to join you for tea? Their mannerisms, their catch-phrases, their joie-de-vivre – even their problems are so recognizable that you feel like they are old friends right from the very first page of the book. Great picture book characters are just that – characters, with unique, but very human, personalities. Creating a truly memorable picture book character requires the author to be able to recall vividly what it is like to be a child and to conjure up children’s sense of playfulness, joy and wonder about the world. Plus they are able to seamlessly step into their character’s shoes to make their struggles, big and small, poignant and real for readers everywhere. 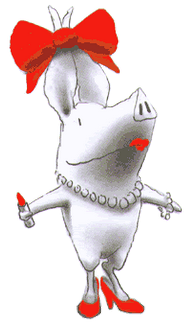 Memorable picture book characters are appealing, often funny, and child-centred. Most importantly, we as readers, really care about them! Really an irrepressible pre-schooler, Olivia is full of energy and ‘creative’ ideas that wear people out and sometimes get her into trouble. Her jaunty personality is conveyed with few words, lots of action and great draughtsmanship by Ian Falconer. All the things she does are instantly recognizable – dressing-up, making up a band, performing in a circus, visiting art galleries, getting excited about Santa, pretending to be a prima ballerina and an abstract painter . . . 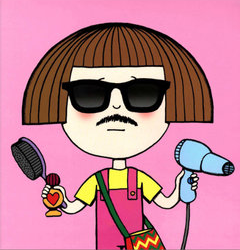 This funny, fiesty little sister has an instantly recognizable and endearing child-like voice. 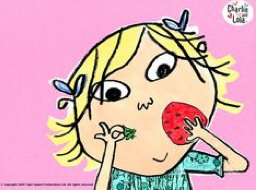 Though Lola's adventures feature many commonplace childhood happenings – like going to school, fussy eating, avoiding bedtime, being sick and losing a tooth – they are far from predictable! 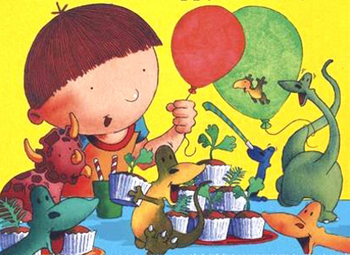 Harry is an instantly recognizable pre-schooler, whose bucketful of dinosaurs are often his character foil and the means to helping him navigate new experiences. When he is not sure about a visit to the dentist, it is the dinosaurs who are really not sure about the drilling. When they go on holiday, Tyrannosaurus is also a bit homesick . . . And on the first day of school, everyone is excited and a little bit nervous. 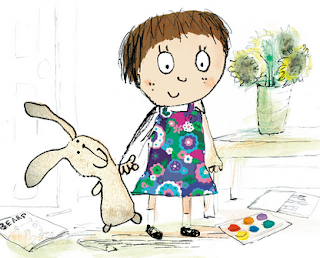 Slightly cheeky and always managing one-up on the grown-ups, Daisy lives in a one-parent household with her Mum. Her inimitable voice and questioning perspective on the world will resonate with child and adult reader alike. Daisy “really, really” is allowed to stay up till midnight watching videos she tells her uninitiated babysitter; she won’t eat her peas which, she tells her mum, is OK because her mum never eats her Brussel sprouts; and surely, she reminds her mum, it’s OK to take the best biscuits from the tin and occasionally pick your nose because “you do”! 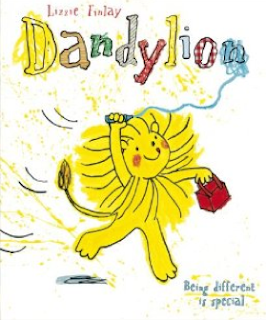 Loveable, recognisable and feisty, readers will immediately empathise and engage with Daisy’s character. Bertie is dirty and that’s all there is to say! He revels in all the glorious grossness - like bogeys and mud, farting and bad smells, creepy crawlies, slugs and worms - that children love. 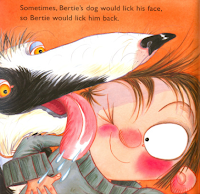 Bertie is a wonderfully exaggerated observation of a child obsessed with the things that adults have grown to regard as a bit icky and mucky! 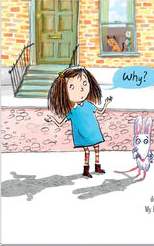 Child readers will instantly delight and empathise with the comic results of Bertie’s inquisitiveness. Emily Brown and her rabbit, Stanley, are always off on the most fantastic adventures! Unfortunately, they are sometimes interrupted by a niggly problem – the Queen is jealous of Emily’s lovely soft rabbit; a teddy has got the weepies; and her good friend Matilda’s mum has been kidnapped by a great grey business and worries about absolutely everything . . . Emily’s fiesty personality and determination are heart-warming. Fancy Nancy is flamoboyant, lavish and extravagant! Which are all - as Nancy would say - ‘posh words for fancy’! Fancy Nancy knows her own mind, she knows what she likes and she’s not afraid to show it. She delights in elaborate, pretty things. She loves exotic and sophisticated words. 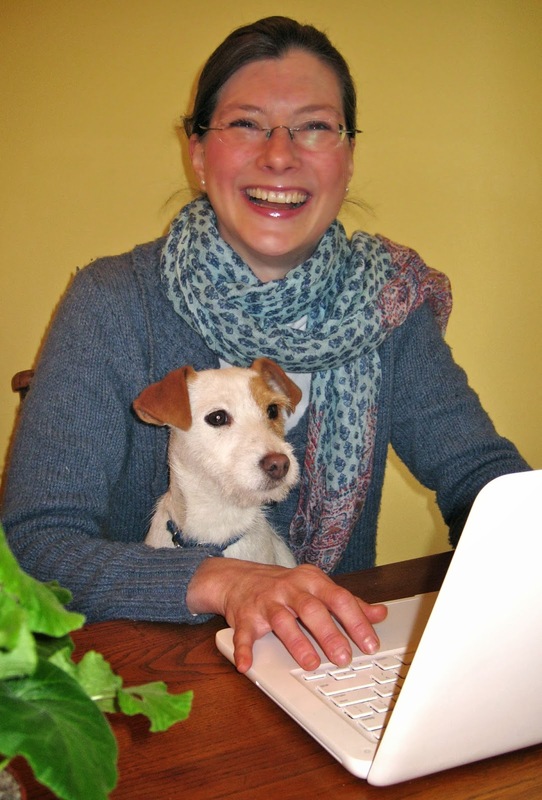 She displays distinct passion - generally to comic effect - and has an irrepressible energy and warmth which cannot help but travel off the page and into the reader. 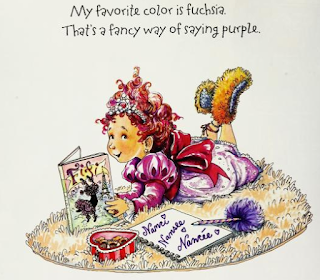 You certainly know when you’ve read a Fancy Nancy story and you can’t help but feel happier for it! The eponymous (and unnamed) ’Me’ from Mabel and Me is pretty much everything any child could want from a very bestest friend (in this case it's a friend, but the character of protector that 'Me' represents could just as easily be a parent, guardian, sibling etc). ‘Me’ is funny, exciting, energetic, 100% loyal and is never ever afraid to stand up to anyone he thinks might have offended Mabel – and this has some rather hilarious consequences. ‘Me’ has a wonderful and totally unique character voice which is hilariously funny but also an exemplary display of friendship. Every child should have a 'Me' in their life. 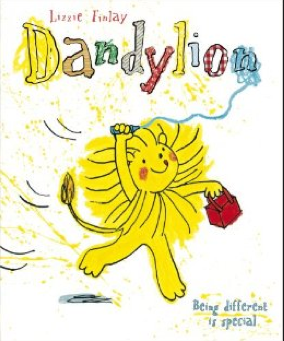 Dandylion is super bright and sunny yellow. He's ebullient and effervescent - with occasionally chaotic results - and sometimes he feels like he just doesn't fit in. It is impossible not to find any resonance with the character of Dandylion and the journey of discovery and acceptance that he embarks on in this heartwarming and reaffirming story. The ability to write strong, engaging and believable characters is one of the most important skills of a picture book writer's craft. Take the time to think about your favourite picture book characters and what it is about them that makes them special and use these examples to help mould the way you create your own. This is a great post and makes me want to go off and create a new character right now! I love the examples you gave . I don't know all of them, but I will try to meet those I haven't yet. Picture book editing is not easy but this article give me good idea how to make inserting your book for kids thanks for share it sop for biotechnology .